Avis Budget Group, one of the nation’s largest car rental providers has purchased the car sharing service Zipcar for an estimated $491.2 million. The company’s move into the car sharing market is not a major surprise since competitors like Hertz and Enterprise each already have hourly rental operations in place. The acquisition of Zipcar, which has over 760,000 members, also represents a move by Avis to break into a younger, more urban demographic. The news comes just months after Hertz completed its takeover of Dollar Thrifty Automotive group. 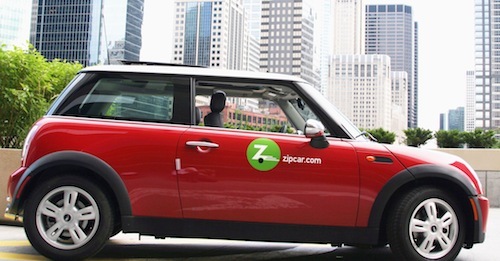 “By combining with Zipcar, we will significantly increase our growth potential, both in the United States and internationally, and will position our company to better serve a greater variety of consumer and commercial transportation needs,” said Nelson. Avis also indicated that Zipcar would help the car rental giant meet the ever-growing demands of weekend customers. In fact, Zipcar thrives on weekends when most individuals make short trips to grocery stores or to run errands. As part of the deal, Avis will pay $12.25 per share, a 49 percent premium to Zipcar’s Friday closing price. FactSet, a financial analysis website, points out that Zipcar has roughly 40.1 million outstanding shares, which put the value of the company at nearly $500 million. Zipcar Chairman and CEO Scott Griffith and President and Chief Operating Officer Mark Norman are expected to stay on board and run day-to-day operations. The effects of the deal were felt immediately after the merger was announced on Wednesday morning. In fact, Zipcar (ZIP) stock rocketed over 48 percent to $12.20 a share. Avis Budget Group (CAR) stock also rose 3.4 percent to $20.50 a share. Despite being multinational car rental company, Avis’ beginnings are humble to say the least. Founded in 1946 by Warren Avis, the company began with just three cars at Willow Run Airport in Ypsilanti, Michigan. The company would go on to become the second largest car rental in the country by 1953. Avis currently ranks sixth out twelve car rental companies in terms of customer satisfaction, according to J.D. Power & Associates. Enterprise and National are ranked first and second respectively. Founded in 2000, Zipcar is a Massachusetts-based car sharing company that provides automobile reservations based on hourly or daily rates. As of November 2012, the company consists of 767,000 members and offers 11,000 vehicles in the U.S., Canada, United Kingdom, Spain and Austria. Zipcar controls roughly 75 percent of the $400 million car-sharing industry, an industry that may be worth as much as $3 billion in America by 2016, according to the Frost & Sullivan research group.